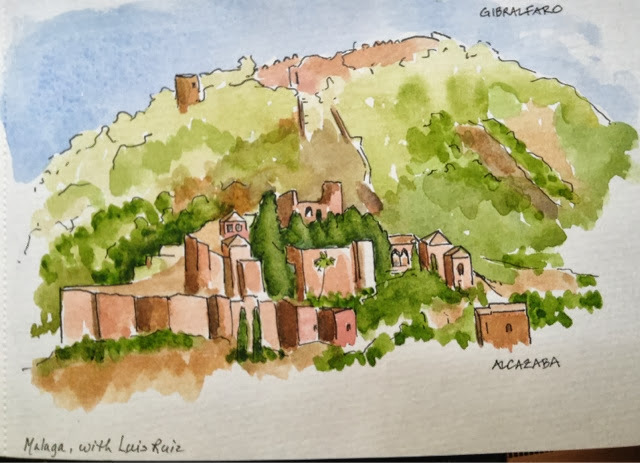 Urban Sketchers Seattle: Amazing Andalucia! My husband and I are traveling in Spain for a few weeks. While we were in Malaga, we went to see the local Usk exhibit at the beautiful Botanical Gardens there. 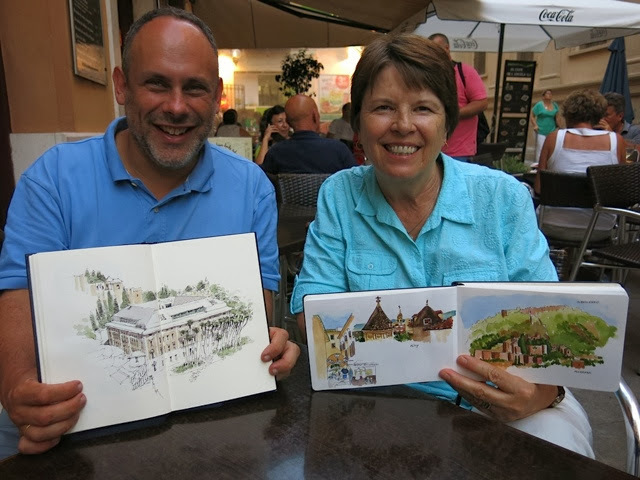 In the afternoon, I met up with Luis Ruiz to sketch and visit. A wonderful connection! This is my first attempt to post from my mini IPad. Hope this works! What fun! Looks like a lovely place going by your sketch. Love that Malaga sketch! Lucky you for traveling!